Max Velmans is currently Emeritus Professor of Psychology, Goldsmiths, University of London, Visiting Professor in Consciousness Studies, University of Plymouth, an Academician of the Social Sciences, and has been involved in consciousness studies for around 40 years. His main research focus is on integrating work on the philosophy, cognitive psychology and neuropsychology of consciousness, and, more recently, on East-West integrative approaches. Paavo Pylkkänen is a Finnish philosopher of mind. He is particularly known for his work on mind-body-studies, building on David Bohm’s interpretation of quantum mechanics, in particular Bohm’s view of the cosmos as an enfolding and unfolding whole including mind and matter. Mind-Uploading: the process of transferring one’s mind from the brain to a new substrate, generally a computer. It is the stuff of science fiction, immediately recognizable in contemporary literature and cinema. However, it has also become increasingly respectable–or at least approachable–within technological, neurological, and philosophical circles. In this exclusive interview, Keith Wiley (author of ‘A Taxonomy and Metaphysics of Mind-Uploading’), discusses the ways that minds may be uploaded in the future, and some of the key issues that this poses. American-born and Korean-raised, Lisa Park is a multidisciplinary artist who is currently based in New York. In the past few years, she started experimenting with biosensors (brainwave, heart-rate monitoring devices) as a vehicle for manifesting her inner states. Park’s recent performances “Eunoia” and “Eunoia II” involved using a commercial brainwave(EEG) headset as a self-monitoring tool to obtain real-time feedback of her emotional reactions. The performances were done in an attempt to visually reflect the vibrations of the mind by expressing herself on the surface of the water. Patricia Smith Churchland is a Professor emerita of Philosophy at the University of California, San Diego, an adjunct Professor at the Salk Institute and recipient of a MacArthur Fellowship for her work in neurophilosophy. Her research focuses on the interface between neuroscience and philosophy, realizing that to understand the mind one must understand the brain. She is the author of many insightful books, including ‘Touching a Nerve: The Self as Brain’; ‘Braintrust: What Neuroscience Tells Us about Morality’; and the groundbreaking book, ‘Neurophilosophy’. Murray Shanahan is Professor of Cognitive Robotics at Imperial College London. His current interests include brain connectivity, neurodynamics, comparative cognition, and the relationship between cognition and consciousness. His book “Embodiment and the Inner Life” was published by Oxford University Press in 2010, and he is currently working on a book about the technological singularity for MIT Press. John R Searle is the Willis S. and Marion Slusser Professor Emeritus of the Philosophy of Mind and Language at the University of California, Berkeley. His work ranges broadly over philosophical problems of mind and language. He received the Jean Nicod Prize in 2000; the National Humanities Medal in 2004; and the Mind & Brain Prize in 2006. Among his notable concepts is the “Chinese room” argument against “strong” artificial intelligence. “I don’t think there’s a hard problem, I think the hard problem is an illusion that comes about because of the way we wrongly think about consciousness,” Dr Susan Blackmore explains in this exclusive interview. A freelance writer, lecturer and broadcaster, her research interests include memes, evolutionary theory, consciousness, and meditation. Her many publications include The Meme Machine; Conversations on Consciousness; Zen and the Art of Consciousness; and Consciousness- An Introduction. As an artist, Julia Buntaine is interested in what has proven to be the most complex puzzle, the epitome of emergence, the deepest well our sciences have examined; the brain. 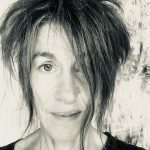 The instantiation of form and function united, from the molecular to the level of Neuroscience as a discipline, her work seeks to address the beliefs, theories and findings of the biological phenomenon of consciousness. Beginning with biological form or data, her work departs into the world of aesthetics as she manipulates the idea through the use of scale, metaphor, material and form. Unlike articles and raw data, scientific ideas in the form of art inherently demand subjective judgment and interpretation, and her goal as a science-based artist is to provide the viewer an alternative way to understand the wonders of biology we have discovered in ourselves.